COLLABORATE 09: What's Your Latest Schedule? Goodness, there are quite a few classes to choose from. 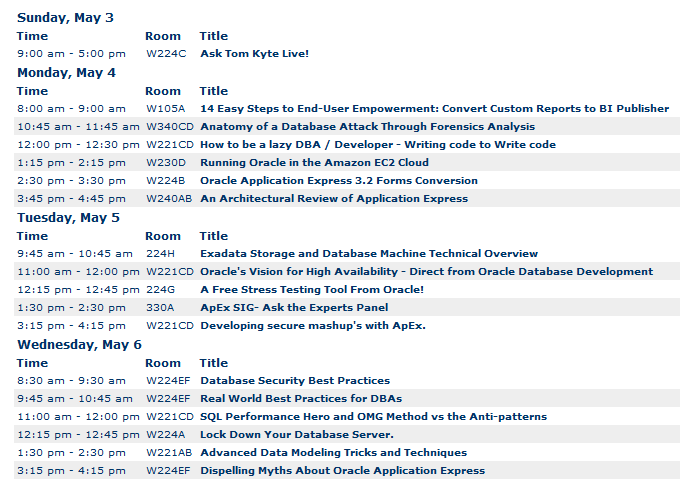 I don't even want to know what it's like deciding at OOW. Yes, I'm still too lazy to type it all up and make it pretty. COLLABORATE 09: What's Your Schedule? Just in case you didn't know yet, I'm attending COLLABORATE 09 in Orlando, FL next week. I scored the coveted (?) media credentials as a blogger. As long as I keep seeing "Beginner" in the "RAC Attack" hands on session, I'll be there. Naturally the site doesn't mention who is putting on the event, but I've been able to glean that at a minimum, Dan Norris and Jeremy Schneider will be there. U9: Ask Tom Kyte Live! Those are all full day courses (Sunday). On the speaker front, I plan on catching the keynote by Charles Phillips and can hopefully catch Tom Kyte as well. Though it might do me some good to hear people I am not familiar with. Will probably be a last minute decision. I was going to link up my schedule but there doesn't seem to be a way to (easily) publish it. So I took a screen grab of it. Yes, I've asked about 37 times already...but who is going to COLLABORATE 09? I owe one-to-many beers to at least one-to-many people. I was just looking through my OraNA feed and found that Todd Sheetz is going as well. I don't know him...but I'll have to find him, anyone with a last name like that HAS to have a great sense of humor. I've been mulling over this one for quite some time. A temporary, jury-rigged solution, especially in the fields of computer programming and engineering: the technical equivalent of chewing gum and duct tape. Compare to kludge. That last one I would more readily attribute to a Professional, though when you start talking mystical I think overly complicated. My definition of Hack is pretty much the same. Someone who knows enough to get the job done functionally, but fails to take into account the bigger picture. 1. Should we store this encrypted? 2. Who/what will be able to "see" this number? 3. What built-in options are available to help secure it? 4. Will it propagate to another system? 1. Do we store it in a VARCHAR2 or NUMBER field? And then it ends. Coding begins. "We'll get to that later." "We don't have time for that right now." "The business needs this NOW." (i.e. we don't have time for that right now). "Fixing that is too much trouble." (i.e. we don't have time for that right now). How do you prove that the Hack's way is wrong or bad for an organization in the long run? Support costs are higher right? Same goes for basic maintenance. Is there research out there that shows this definitively though? I feel like I know this intuitively, that's it is cheaper to spend (a little) more time in design to try and take into account all that you can. I understand you have to balance what needs to get done with doing it the right way. I've always understood that. I think I had a good upbringing. I believe that the Business drives IT, not the other way around. Yes, we know how to automate things, but rarely do you find someone in IT who knows more than the Business. A Professional will give the Business Option 1 (a hack), Option 2 (a true fix) and Option 3 (a blend of 1 and 2). The Business will then make the decision (since they pay our bills right?) based on the information at hand. A Hack will give the Business Option 1 (the "fix") and Option 2 (technical jargon that sounds like something but doesn't really do anything). The Business will choose Option 1 because they believe that to be their only choice in the matter. In summary, Hacks do have a purpose...I just don't know what it is yet. In Tampa of course for the annual Suncoast Oracle User's Group Technology Day. Sadly I will miss this year's event due to the fact that, 1, I have no vacation time saved up and 2, I'm going to COLLABORATE 09 in Orlando in a couple of weeks. This is a great event, so if you are in the Tampa Bay area, go. Did I mention it was free? I got my paperwork today. I'm taking the family up on Sunday May 3rd to Orlando. While I "work" (seriously, why don't I consider this stuff work? I have to have problems) the family will be living it up at the Walt Disney World complex. Changing jobs sort of made me push it aside for awhile, but now it's time for work. Raymond Payne - President of OAUG? Me thinks I have a bit of homework to do as I don't know any of them. How about you? Any suggestions? Anyone you would like me to speak to? Do you care? Let me know. What is a PL/SQL API? First, what is an API? application programming interface (API) is a set of routines, data structures, object classes and/or protocols provided by libraries and/or operating system services in order to support the building of applications. Easy enough. I think the vast majority of readers understand that. What is an PL/SQL API? All other code would call one of these procedures/functions to perform the specific action. No one else would write a direct update on EMP, no matter how small or seemingly trivial. If something outside of the 4 defined actions was needed, then it would be added to the preceding package. Why use a PL/SQL API? In all likeliness, the person who is adding the underlying table or tables is going to be the subject matter expert (SME). They should be the ones to define the actions to be performed against that set of tables. Security is a factor here as well. Would you give INSERT/UPDATE/DELETE to non application users or would you require them to use the PL/SQL API? If I had my way, no one would have any direct DML to any table in the application. How about support and maintenance? If you make a change to a table you should only have to change in 1 or 2 locations (say the package and a view), not 10, or 20, or 30. If you have it contained in just a couple of locations most minor changes would be relatively easy and quick to complete. If it's spread out across the database, you end up obscuring or hiding many of your data structures. ...encapsulation is the hiding of the internal mechanisms and data structures of a software component behind a defined interface, in such a way that users of the component (other pieces of software) only need to know what the component does, and cannot make themselves dependent on the details of how it does it. The purpose is to achieve potential for change: the internal mechanisms of the component can be improved without impact on other components, or the component can be replaced with a different one that supports the same public interface. Encapsulation also protects the integrity of the component, by preventing users from setting the internal data of the component into an invalid or inconsistent state. Another benefit of encapsulation is that it reduces system complexity and thus increases robustness, by limiting the interdependencies between software components. ...For example, a simple digital alarm clock is a real-world object that a lay person can use and understand. They can understand what the alarm clock does, and how to use it through the provided interface (buttons and screen), without having to understand every part inside of the clock. Similarly, if you replaced the clock with a different model, the lay person could continue to use it in the same way, provided that the interface works the same. So how about you? PL/SQL APIs? I was once told by a colleague, after sending out a note encouraging them, that they were not convinced of the effectiveness of PL/SQL APIs. I really didn't know what to say. Further, their past experience with them was bad. Huh? What do you do with a response like that? Just submit it to Oracle WTF and be done? 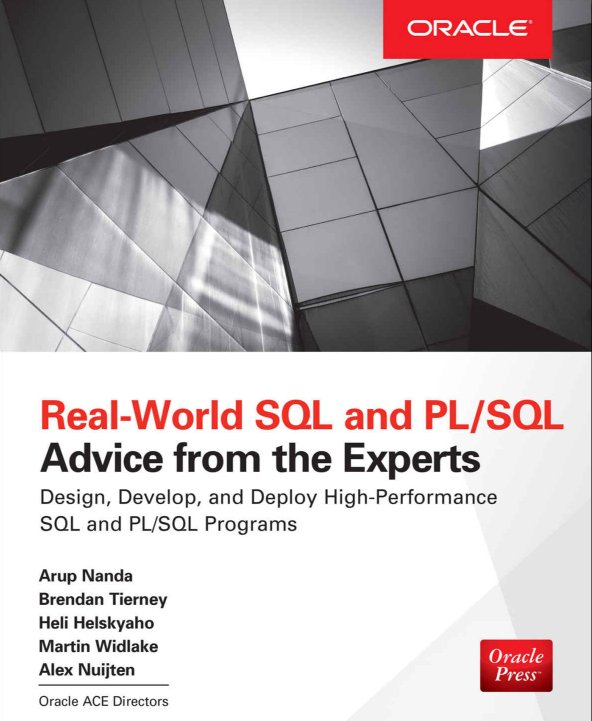 "...not convinced of the effectiveness of PL/SQL APIs..."
Oracle has been selling that for years hasn't it? The Packages and Types Reference manual lists about 218 public packages which obviously doesn't include the internal only ones. Oracle seems to have bought into the PL/SQL API. Steven Feuerstein wants you to build them. I personally don't like his style, but there is no arguing results. TAPI, or table based API, suggests building a simple API that performs the INSERT, UPDATE and DELETEs for each and every table and then using that TAPI in your APIs up a layer. My friend Daniel McGhan has even built a TAPI generator, tapiGen, which will create all the code for each table. I'm pretty sure Tom Kyte is a fan as well. Unfortunately his site is down at the moment so I cannot link up to anything in particular. Hasn't he written some of the most predominant books on Oracle, specifically developing applications with Oracle? I am still stunned that I heard that. I would expect it from Mr. M perhaps, but I think even he would appreciate the advantages of not having to write any SQL. So how do you respond? What do you say? I get to setup my new computer. SQLDeveloper, for those moments I wanted to be able to easily download data. Great database navigator as well. I create reports here and in JDeveloper as well. JDeveloper, though I won't be using Subversion for work, I'm hoping there is a plugin for source control that I can use. Still my favorite editor of choice. CubicExplorer, which is a tabbed windows explorer and fairly nice. WinMerge, always nice to be able to easily compare files. FastStone Capture - screen grab utility. You can also add arrows and stuff to your captured images. Meebo, which I'm trying out for the first time. ScribeFire, for the occasional quick post. Shareaholic, for quickly sending links out. Oracle Database was already installed along with BI Publisher, so I didn't have to worry about those. I'm sure I'll have others, but these are the basics. For me anyway. I am moving along. I will certainly miss all the friends I made and miss the opportunity to work with some very, very smart people. I wish I could have stayed, especially after the announcements yesterday (here, here, here, here, here, here, and here). I guess the good news is that it wasn't involuntary. Will be added to the Tampa Timeline. I start a new job on Friday. It's been a little over a month since I've written anything about it and seeing as how I have not posted anything Oracle related in what seems like years. A quick reminder, Poor Man's Data Vault, PMDV for short, is a very basic tool to allow you lockdown your production environment. In essence, you are required to "submit" a ticket before any DDL is allowed in your specified schemas. When you "submit" or run a procedure you must supply a ticket number or description. Obviously there is no way to verify (yet) that this is an actual ticket, but it is a start. The ideal in the regard would be to query your ticketing/bug tracking database to validate. Currently we have a pretty sweet integration of Subversion, Fisheye, Bamboo and Jira. If we add the ticket number to the Subversion comments, we can then see (via Fisheye) what code is attached and even better do a diff right in the browser. So, using Jira would be nice, but it's out of scope at this time. PMDV_WORK is the driving table. It stores the records on the deployment or fix. 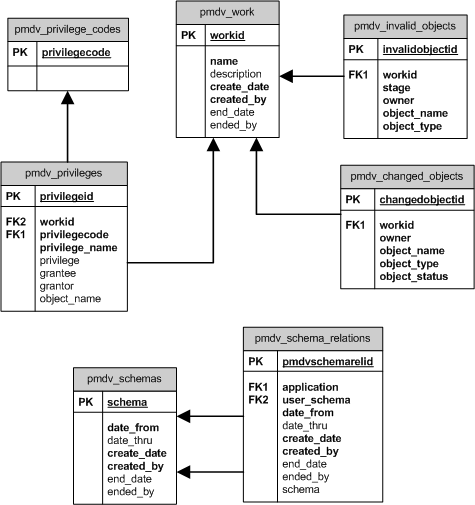 PMDV_INVALID_OBJECTS takes a snapshot before, during and after the deployment of objects in an INVALID state. PMDV_CHANGED_OBJECTS will capture all the objects that were affected by the deployment (new and altered). I'm starting with those 3 (because I forgot what I was going to do with PMDV_PRIVILEGES). I have created those 3 tables and checked them into source control (Google Code). You can find the project here. If you would like to join the "project" (yes, it's in quotes because I haven't done a whole lot but would love to actually finish one. Besides, I need all the help I can get.) 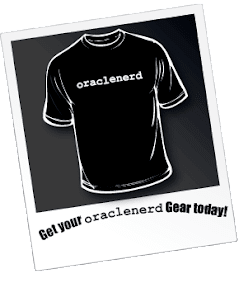 drop me a line chet at oraclenerd dot com (does that really work? spelling out the email address I mean). Those of you who know me, know that I have a tendency to talk a bit. I've been counseled by many (wife, friends, co-workers, etc) to keep my thoughts to myself but I still have a "problem" with it. I've been known to send out emails late in the night to my CIO...only to do the same exact thing a couple of weeks later at the start of a holiday. Just a little advice here, if you do decide to do something like this. Don't do it on Friday night where you have all weekend to think about whether or not you should have sent it. Especially don't do it on a Friday night if you have Monday off too. 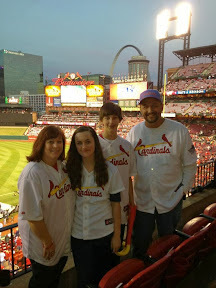 Starting a blog helped, a little. I could scream out into the nothingness that is the 'tubes. There wasn't as much back and forth as I would like though. It's gotten better over time as more and more people read this blog, but nothing can replace that instant gratification of a healthy discussion. And healthy are the ones I am talking about. I don't (necessarily) mean that I just talk to talk. I have opinions on just about everything software related. Architecture. Design. Style. Best Practices. Performance. I'm even worse when it comes to databases. I think I have a pretty good grasp of how to model data. I've been creating diagrams since before I became an IT guy. I understand when it is good to normalize and when it is good to denormalize. I am very passionate about what I do. I love what I do. Every other week I get a paycheck and I'm stunned that someone pays me to do this. You know what, if they're gonna pay me all this money, I'm not so sure they want me to keep my mouth shut. The usual caveat: When a decision is made, with or without my input, I will keep my mouth shut about it. Either I accept the decision or I start looking for other work...that's my decision to make. But I won't be that guy who keeps arguing the point long after. At least I try not to be, I ain't perfect. It also goes without saying that not all people are equal in a discussion. Some have strengths that others do not. I think a good discussion can lead to better products. There is plenty to be learned through good discussion. A multitude of view points can force you to reconsider your own position; possibly strengthening it for future debate or forcing you to abandon that idea. How could that ever be bad? Not everyone feels the same way of course. Not everyone likes these types of discussions. Either they feel that it's not my place to disagree (i.e. I'm not qualified) or they just don't like being challenged. If my boss says stop, I stop. If a peer says stop I'll ask why. So, do you know how to keep your mouth shut? Any good stories of how it went bad? or good? Please share...there's much to learn from the discussion.